Analogies are a powerful way to communicate ideas, but they are also a crutch. We need to be able to explain ideas to readers without analogies and cliches. Relying on someone else's words means we don't fully understand the concept we're trying to explain or that we didn't spend nearly enough time editing. 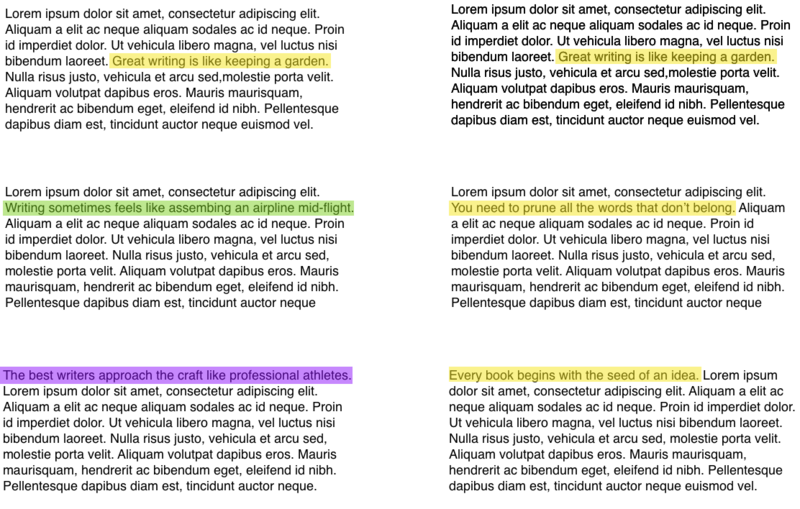 Analogies help us (the writer) understand and visualize ideas. It's fine to write a draft full of analogies as long as you've budgeted time and energy to clean them up later. If you find yourself leaning on analogies, work towards parallels. This means introducing a single analogy early in a piece, then tying points back to that analogy. Parallels need to be subtle, otherwise they feel cheap. Done well, a reader will follow an article to its conclusion without ever realizing why it was so easy to read. The difference between good writers and great writers is that great writers spend a lot more time re-writing. The experience of the reader is inversely proportional to that of the writer. "Easy reading is damn hard writing," as Greg Ciotti says. Between a first and second draft, analogies can evolve into parallels with editing, re-writing and careful thought. Parallels affect the structure of an article as much as they do the words, so editing often requires reformatting. Here's an easy way to visualize the difference.